Probably not the Nurburgring lap record we were expecting to end the year with, but it’s an impressive time nonetheless. It’s been an eventful 12 months for Nurburgring lap records. Earlier in the year, Lamborghini set a new production car record in the Huracan Performante beating the Porsche 918 Spyder for the first time in four years. Porsche then reclaimed the crown with the 911 GT2 RS which is the current king of the Nurburgring. We’ve also seen the Alfa Romeo Stelvio Quadrifoglio shatter the SUV lap record at the Ring, and just recently Jaguar set the fastest sedan time around the Green Hell in the XE SV Project 8. Now, Porsche has claimed yet another Nurburgring lap record - but this one is rather unusual. 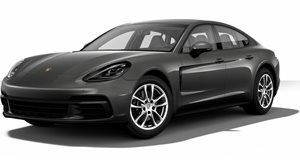 Bridge to Gantry reports that a new record for towing a trailer around the Nurburgring Nordschleife has been set by renowned Porsche driver and Nurburgring expert Patrick Simon in a Porsche Panamera ST shooting brake. Specifically, the Panamera ST was towing a massive Moetefindt FTP235 trailer. In an added twist, the twin-axle trailer was also loaded with a Porsche Junior 108 tractor. Despite towing such a heavy load and having a top speed restricted to 110 mph, the Porsche Panamera ST put in a very respectable time of 12 minutes and six seconds around the Nurburgring which set a new record. As far as we know, no one else has attempted this feat before, so Porsche has set a benchmark to beat. There’s no footage of the full lap available yet, but you can watch a highlight reel of the run in a video posted by the trailer’s manufacturer, Moetefindt. This isn’t the Nurburgring lap record we were expecting to end the year with.